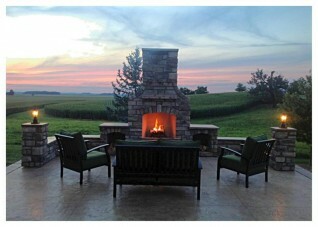 Zagers is your place for outdoor entertainment and backyard gatherings! 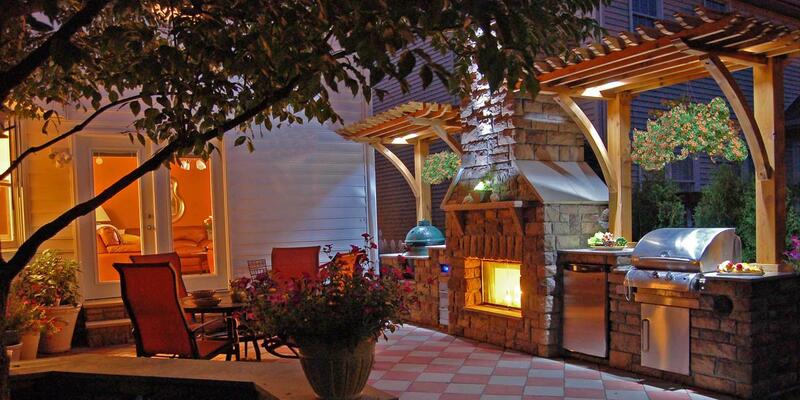 We are excited to offer fireplaces, outdoor kitchen islands, pergolas, and patio furniture. Individual pieces are available – or purchase a complete room! Contact us today to learn more about how Zagers' outdoor rooms can help you create the backyard of your dreams! Outdoor fireplaces and fire pits are great for transforming your backyard into a cozy gathering area to be shared with friends and family. The quality, workmanship, and longevity is unsurpassed and will offer years of enjoyment and relaxation. Whether you are creating a gathering area or a private retreat, an outdoor fireplace should be considered as a key element in your outdoor room. 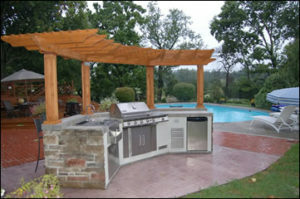 Outdoor kitchens and grill islands combine unmatched style, unrivaled quality, and highly designed granite countertops. 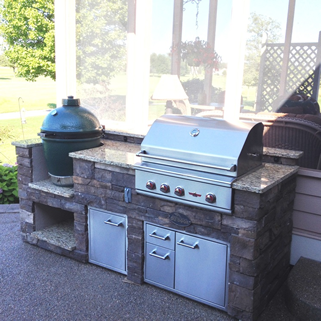 Regardless of your lifestyle or event size, Zagers Pool & Spa offers an outdoor kitchen package that will accommodate your every need and desire. 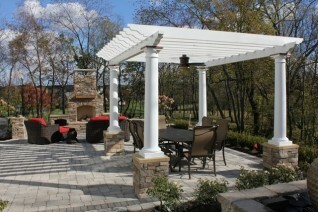 Pergolas are the perfect way to define your outdoor space. 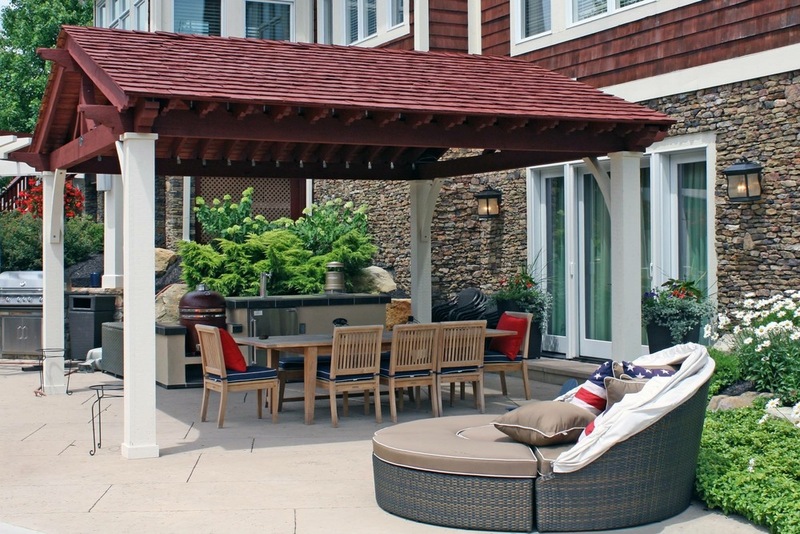 The pergolas from Zagers Pool & Spa add architectural design, sophistication, and charm to your home, while providing shade with a classy look. The materials, design, and workmanship provide beauty and comfort for many years to come. Zagers has many different sizes, shapes, and styles to choose from – call or stop in today to learn more! Patio furniture and outdoor dining sets add the final touch for adding comfort and style to your outdoor room. 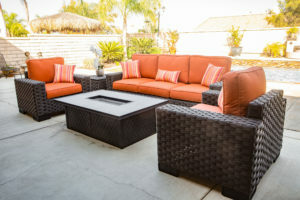 Whether you’re looking for a table and chair set for dining alfresco, or you want to create a cozy living room in your backyard, we have a wide selection of furniture for any size and occasion. 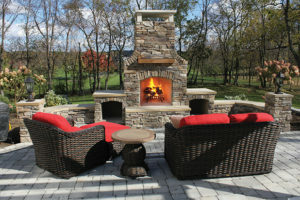 For more information about the outdoor rooms and accessories, visit housewarmingsoutdoor.com! 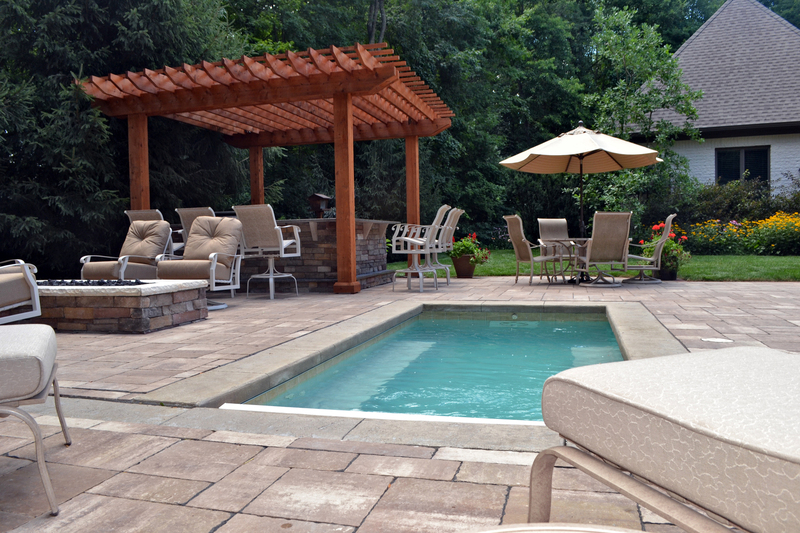 Let's Get Started Designing Your New Outdoor Room!